So what do I get for my Club Motorhome subscription? Brief introductions to our Articles - go to 'Magazine Section' in the Main Menu to find them. Access to featured Motorhome Blogs. Basic viewing of Club Motorhome Forums. Viewing of Members' own blogs. Use of our Motorhome Forums and Social Network. Access to create own Photo Galleries and upload photos. Detailed information on European aires and motorhome stopovers in France, Spain, Portugal and Morocco etc that have mostly been personally visited and reviewed with a breakdown of facilities, GPS co-ordinates, photographs etc. Each one is printable for ease of route planning. More stopovers are being added regularly. ALL our stopovers are available on eBooks! 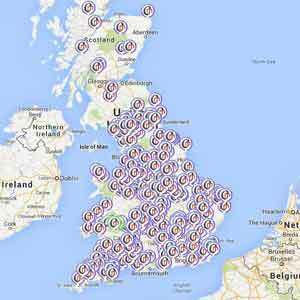 Access to our directory of over 300 UK Pub and other interesting (Farm Shop, Brewery, Vineyard etc) Stopovers across 60 counties, each with a print facility for ease of en-route planning, GPS co-ordinates, telephone numbers etc. Each pub has its own page with a Google Map and Street View where available so you can see where you are going before you get there. More motorhome friendly locations are being added and updated regularly. ALL our pub type stopovers are available on eBooks! Hundreds of article content items covering news, how-tos, guides, recipes, travel information, topical features and various reviews including the stopovers above. Members Search facility (giving full results from all of our content including the forums). FREE access to write your own blog on Club Motorhome, no need to source your own domain, hosting and software. Free advertising in our Classifieds. NO LIMIT to the number of motorhome related adverts placed by private sellers. Members features including Photo Galleries and Private Messaging. 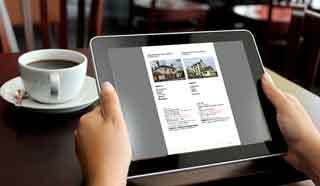 Access to Members Directory of motorhome related goods and suppliers. Special Subscriber Discounts on motorhome related suppliers and/or services. Full access to all other features and content added to Club Motorhome during your chosen subscription period. That £20 subscription gives all this information and anything else that is added for a whole year whatever time of year you join! Club Motorhome has grown rapidly with probably 95% of its website content being created, sourced and/or reproduced by the Admin team - and there is far more in the pipeline! 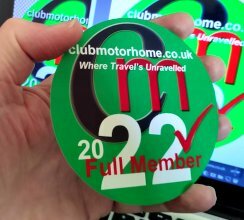 We welcome membership editorial contributions too which will help the website grow faster and increase interaction between members of the Club Motorhome community. Being a Full Member also means that you are helping and supporting the continued growth and development of Club Motorhome - which has enormous potential to become a leading information resource for motorhome owners and enthusiasts. So in answer to the question 'What do I get for my subscription?' You get, a full 12 months of quite a lot - that's what!